Each year, one date stands out for international school students more than any other and it's not their prom we are talking about. 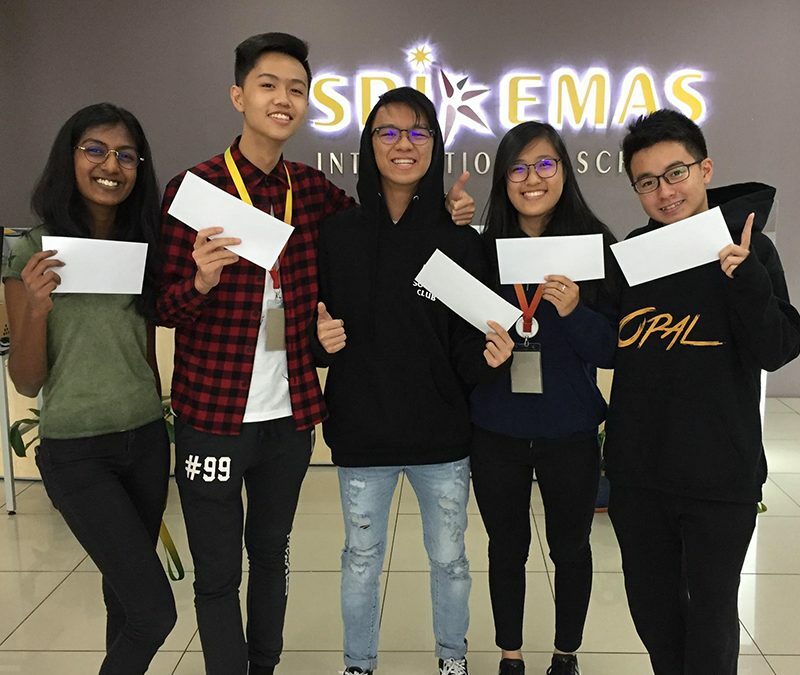 It is, of course, the date when their IGCSE results are released and then the anticipation becomes palpable here at Sri Emas when our by-then former students drop by to pick up their envelopes. Once again, this year’s results are outstanding and we’re extremely proud of our students. And if you thought our students had a tough time, you should’ve seen our teachers biting their nails! That’s the sort of relationship they have with their students, something special! An amazing 54% of our students scored an A or A* across the 3 sciences (Chemistry, Physics and Biology), and that's a solid 10% more A's & A*'s than just two years ago. Not only that however, we've also had one of our students achieve Cambridge's vaunted Top in the World standing for her Maths IGCSE exam. That recognition places her among the elite percentile of learners worldwide. Kudos! These kinds of results are a true testament to our methods of teaching. One of the things we love doing here is making sure our students are actually able to enjoy their learning, something that's unfortunately not the norm in education just yet. When you can do that in tandem with getting such formidable results, then that makes for some really happy students, parents and teachers. As we say goodbye to this batch of students, we wish them nothing but the best for what comes next, knowing they are equipped to excel in whatever they choose to pursue. If you’re a parent looking for a school that offers much more than just excellent education, we'd love to show you around our campus and let you see for yourself how our stundents take charge of their learning here.